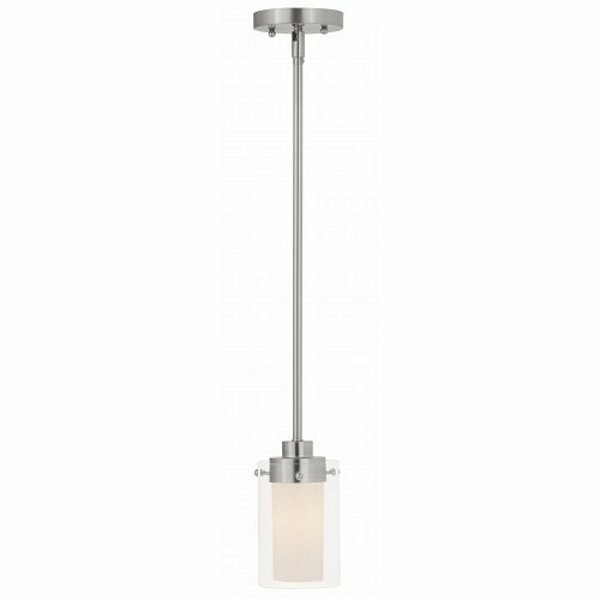 Livex 1540-91 - This brushed nickel finish brings sleek sophistication to this contemporary mini pendant. The clean lines are enhanced by the hand blown clear glass cylinders with opal centers. The double layer of glass adds a level of depth and visual interest to this transitional style light fixture.